Wondering if it’s too early to offer pearls to your little girl? Are pearls for girls even appropriate? This post will show you ten pearl necklaces proper for little girls and ladies in their teens. Pearls for little girls are totally adequate if you take into account some general rules. Therefore, if you want to surprise your daughter, niece, sister or granddaughter, keep reading! We will give you some useful tips on choosing the right pearl size according to the girl’s age. A little girl will always appreciate a gift wrapped with love and what could be more special than a beautiful pearl necklace? If you usually wear pearls and your daughter saw them on you on various occasions, you can be sure she wishes to wear them too. We totally recommend pearl necklaces as gifts for your little lady because they are timeless and charming. Most importantly, taking into account the changing fashion trends, they will never get out of style. At PearlsOnly you can definitely find pearls for girls who are in their teens, for older teens and young women, and for women from 30 to 60 and up. We are not saying that these women are not young, we are just referring to mature women who have the appropriate age to wear bigger pearls. We agree that one size does not fit all, so, for now, we’ll show you some perfect examples of pearl necklaces for little girls and young ladies. Moreover, we will also indicate the best time to offer them this kind of gift, plus some tips on how she can wear the pearl necklace. WHAT PEARL SIZE IS RIGHT FOR MY GIRL? Shopping for pearls for your little girl can sometimes be tricky, but we are here to help. The size of a pearl is measured by its diameter, and that’s usually written in millimeters. We’ll show you three categories of pearl sizes that are suitable for your girl. 1. Pearl size between 3.5 mm and 5.5 mm – generally recommended for small girls ( from 10 to 13 years old), or petite women. Since they are small and delicate, this kind of pearls is really flattering and appropriate for small ages or figures. 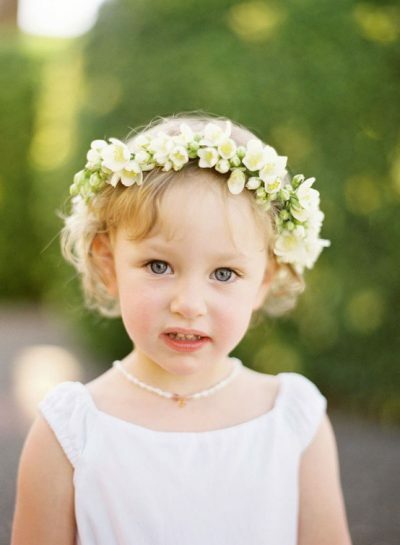 The dainty size of pearls makes it easier for little girls to have them around the neck and to take care of them. Pearl necklaces of this size are a fun and adorable way to initiate your girl into the charm of wearing this kind of jewelry items. This kind of necklace can be a girl’s first pearl necklace, it can be offered as a christening gift or as a birthday gift. You can even offer it at the kinder-garden/school graduation. This type of pearl necklace suitable for little girls can be worn with tulle dresses, playful skirts or cute ribbons in her hair. 2. Pearl size between 5.5 mm and 6.5 mm – they are suitable for young teens, 13 to 18 years old. Since they are appropriate for older teens, you can definitely pick a bolder design, noticeable, yet easy to wear. As a result, if you want to introduce your teenage girl into the world of pearls, here are some pretty options. We guarantee she will be pleasantly surprised. You can give it to your girl during any important celebration, sweet sixteen parties, at the high school graduation. College admission or birthdays are also good occasions. This kind of pearl necklaces is appropriate for older teens. They can be worn with simple and elegant dresses, soft fabric tops, or even jeans. 3. Pearl size between 6.5 mm and 7.5 mm – they are usually recommended to young ladies who already stepped into the pearls fascinating world. Your girl knows their true value and how to wear pearls. Therefore, a touch of sophistication is allowed. A bigger size means a bit more coordinated outfits, but with the right attitude, your girl will shine! In order to offer this kind of pearls to your girl, any kind of celebration is a good moment. You can either give it to her as a Christmas gift or after completing studies. Whenever you feel like surprising your young girl, just go for it. 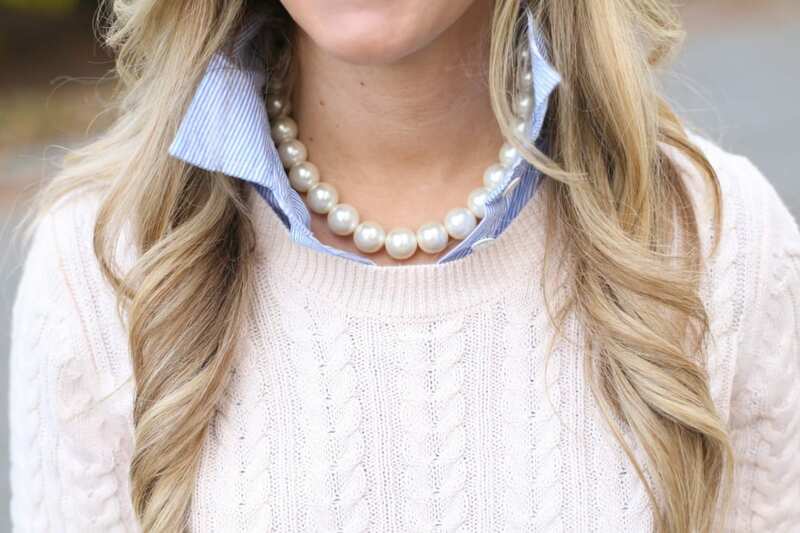 Young ladies can wear this size of pearls with casual and formal clothes. Shirts and skirts, elegant dresses or long monochrome maxi dresses are also good choices. They can also be worn with matching pearl earrings or a pearl bracelet. More pearl necklace designs can be found on our dedicated page, so make sure to check all of them, maybe something else will catch your eye. In the end, it’s obvious that nowadays you can you can still use the traditional wearing pearls etiquette when picking a gift for your young lady. However, you are allowed to add a playful touch to their design. Pearls are said to symbolize the purity, generosity, integrity, and loyalty of its wearer. After all, this is what you are offering to your sweet child. You can be certain that your girl will not look too mature or too flashy if you choose one of our pearl necklaces. They were carefully chosen taking into account rules for wearing pearls and the meaning behind giving pearls. Pearls for girls who are in their teens are absolutely a perfect gift, as well as for young ladies stepping into adulthood. Wrap the gift with love, smiles and you got yourself a happy little girl.